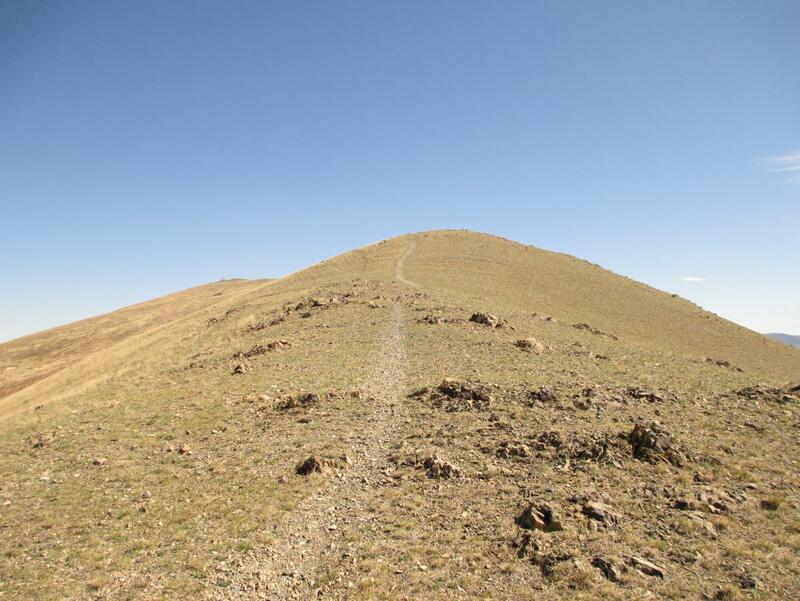 The trail begins by heading east straight up the mountainside one mile (1.6 km). This is a steep technical climb. At the top head SSE a short distance to find the ridge which takes you back down the mountain to the ger district above Doloon Boodal. The first mile up the mountain climbs 875', and the entire trail climbs about 1500'. The trail descends about 2500'. The ridge back down the mountain runs SSE for about 4.75 mi (7.6km). It is quite steep in places. Review: This trail has tons of potential in terms of an awesome DH run, but it needs some basic trail work to reach its potential. Some of the descents are very steep and have very sharp rock strewn everywhere, making it too dangerous to aggressively ride -- dangerous for you and your tires. That being said, there are parts of this trail that are really nice and a blast. Also watch out for the winds here. This trail is EXPOSED. The winds mostly blow across the trail from W to E. They can be extreme. Avoid the trail on windy days. The trail is on the south side of Chengeltei Mountain. The north side is forested and has much better riding conditions. Chengeltei Mountain South Ridge MTB Trail 3.00 out of 5 based on 1 ratings. 1 user reviews.